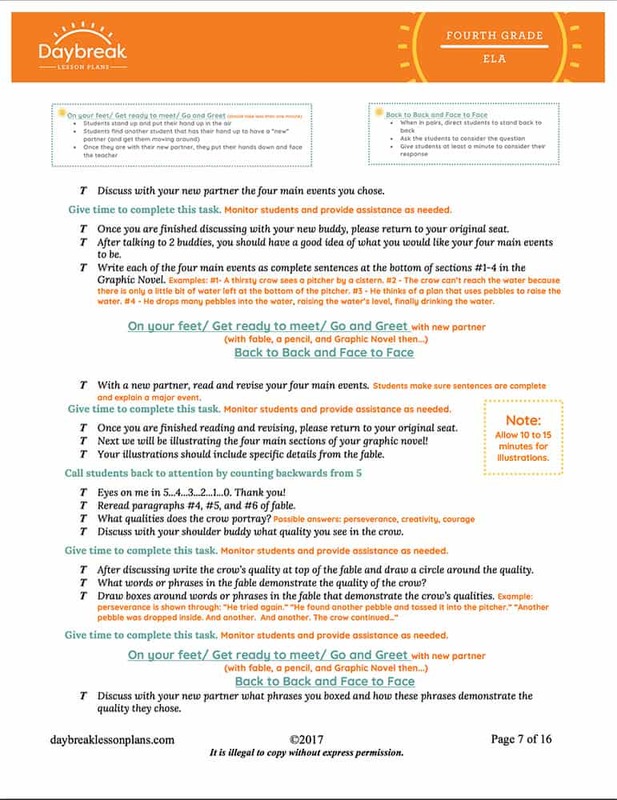 This half day of lesson plans is broken down into 4 separate segments (30-60 minutes each) addressing several ELA standards using the fable, “The Crow and the Pitcher”. Your students will use close reading comprehension techniques, create a graphic novel, write a summary, and create a cartoon strip. Segment 1: students will synthesize a fable to discover key details and find a central message. Segment 2: students will determine the main events of a fable and analyze a character. In addition, students will create a graphic novel to show their understanding of main events and sequential order. Segment 3: students will identify and defend the lesson or moral of a fable using text supports and identify words or phrases that help with visualizing the fable. Segment 4: students will write a summary and create a cartoon strip identifying key details from the fable. This half day of lesson plans is broken down into 3 separate segments (30-60 minutes each) addressing Numbers and Operations in Base Ten: place value understanding of multi-digit whole numbers. 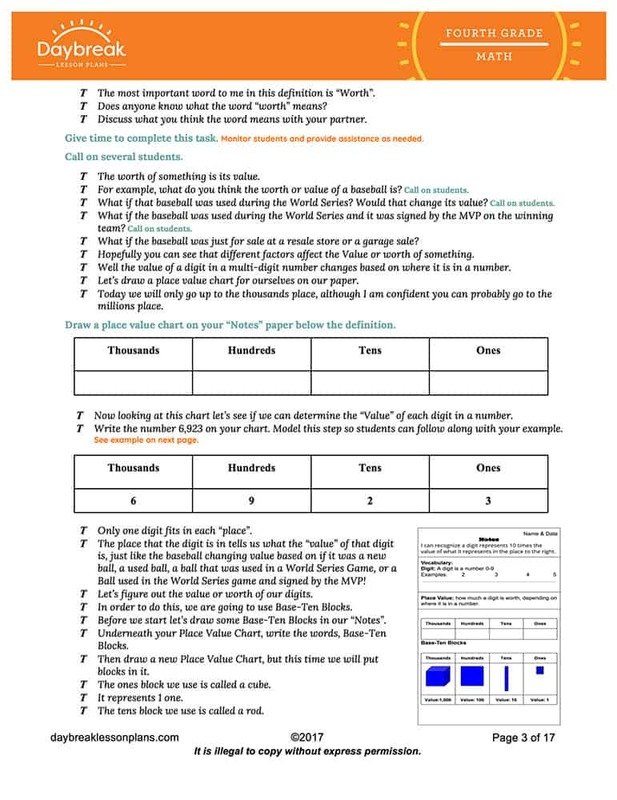 Students will learn key place value vocabulary, take helpful notes for reference, complete independent practice of concepts and play a game to reinforce the concept of 10x the value. Segment 1: students will recognize that in a multi-digit whole number, a digit represents ten times what it represents in the place to its right. Segment 2: students will identify the value of a number in multiple place values (for example: 500= 500 ones, or 50 tens, or 5 hundreds). Segment 3: students will demonstrate their understanding of the above-mentioned concepts through playing a card game in pairs or small groups.